At an age when most jazz musicians are still trying to get their first breakthrough on stage, Ms. Kelly has performed over 800 concerts, in over 30 countries, most recently in Russia, this past December, with the Moscow Symphony Orchestra and then joining virtuoso saxophonist and jazz band leader Igor Butman for a special performance at his jazz club. Just in her early twenties, she has already performed, recorded and collaborated with: Wynton Marsalis, Dave Brubeck, Frank Morgan, Harry Connick, Jr., Questlove, Diane Reeves, Esperanza Spalding, Lee Konitz, Phil Woods, Danilo Pérez, Ron Carter and David Sanborn—and this is just a partial list. Mentorship has also been a key musical relationship for Kelly as she shared with me the heart-felt appreciation and love she has for several very special professional and personal friendships in her life. At 12, Kelly would meet legendary jazz promoter Fred Taylor at Sculler’s Jazz Club in Boston, and after hearing her version of “Over the Rainbow,” Taylor’s ear was caught, and bookings followed and a long bonding personal and musical relationship was begun. 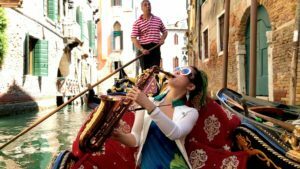 Recently stepping into a new role, on television, with regular performances alongside jazz pianist Jon Batiste on CBS with “The Late Show with Stephen Colbert,” Kelly found herself developing a close collaborative relationship with the band leader. 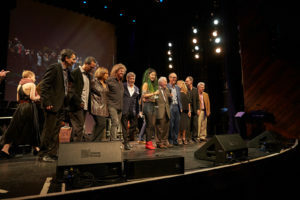 Batiste, a Juilliard-trained multi-instrumentalist, and his band Stay Human, are the house band for the show which will often feature Kelly in the line-up. Kelly talked about this musical connection, “I’ve learned so much from him (Jon Batiste), and genuinely loved his music and musicianship.” Again, another musical partnership, and friendship, adding a branch of exposure, to an already burgeoning career. As Kelly reflected upon all the friends (musicians and others) and family involved in her life, she has also stayed close to her drive to share her music and connect with listeners and audience and a wider world, as best put in her own words, “to add joy, light and beauty.” You can’t say it any better than that. More upcoming dynamic events are scheduled for 2018. To accent audience inclusion and participation with her next recording, in her rule-breaking tradition, Kelly plans to preview part of her forthcoming album by streaming of a Facebook Live session to a worldwide audience. The event and entire session will be viewable on Facebook March 18th, 2018—exactly 13 years after Kelly, then 12, made her debut as a bandleader. “I want fans all around the globe to feel as if they’re there for the conception and making of my next album,” Kelly said. Arrangements of the material will be worked out by the entire group, Kelly’s touring and recording band: Julian Pollack on piano and keyboards, Julia Adamy on bass, synth-bass and background vocals and drummer Ross Pederson incorporating electronic technology and including sampling and pedals. 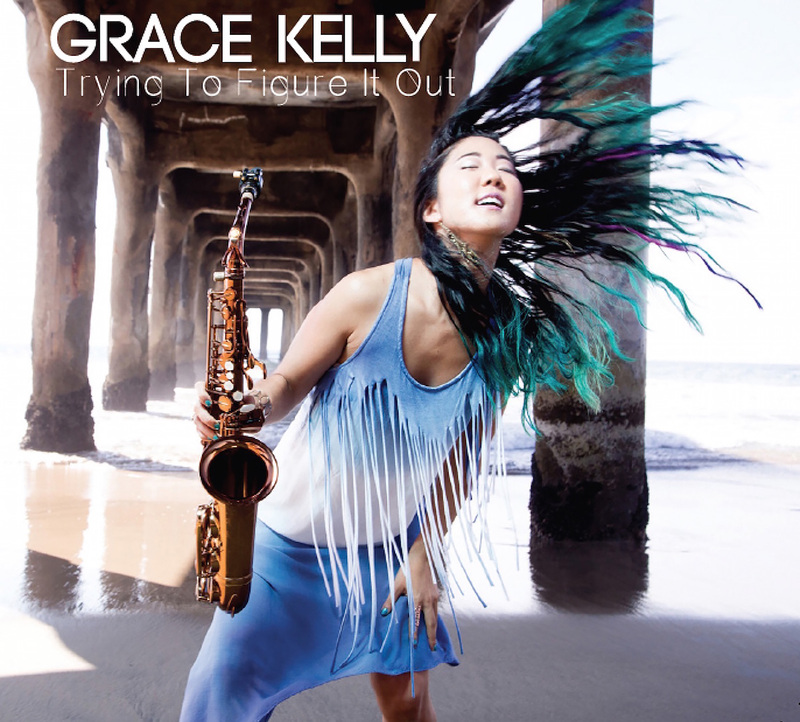 This collaborative way of working, Kelly said, will allow the quartet to “keep it in the family and create a band sound -and that’s brand-new territory for me.” The selections to be streamed live will focus on “Grace-ified” arrangements of compositions by Duke Ellington (“It Don’t Mean a Thing (If It Ain’t Got That Swing)”), the Rolling Stones (“Miss You”) and Ray Charles (“Unchain My Heart”) along with some original vocal and instrumental compositions.